Meet Jenni Price and hear her story of how she became a homeowner with the help of SNHS. My journey to owning a home began with Jay Doaty with the Maryland Group of Long and Foster. I had no idea where to start or what direction to go in at first until he referred me to Salisbury Neighborhood Housing Services Inc. (SNHS). I was contemplating on trying to buy a dilapidated foreclosure because I did not know my own potential until this non-profit stepped into the picture. From that moment on, SNHS assisted me with achieving my dream! I began with the homebuyer education class, repeatedly met with counselors, Leah Dyson and Kiara Price who were profound in the abundance of knowledge and motivation needed to achieve my goals. Also the Assistant Director, Jane Hoy kept me on my toes anytime I had doubts. Executive Cheryl Meadows was there at the closing table and has given me the privilege to serve on the SNHS Board of Directors. Ultimately I purchased my home through the non-profit agency in March of 2018. At the end of the day, knowing I reached my goal is very surreal. One minute it is hard to believe that this actually happened and the next minute I have a million ideas of how I want to decorate. I feel the stress of renting and investing into something that would never be mine has been tremendously lifted. My children being able to enjoy our house fills my heart with joy and knowing that I made a sound financial investment for my family’s future is a huge accomplishment. If you are reading this and want to become a homeowner like me, stop waiting and do not be afraid. There is no magic button, just hard work and SNHS is there to help in various ways. I overcame many life challenges and obstacles, but was able to become a homeowner and encourage anyone that will listen to know they can do the same. 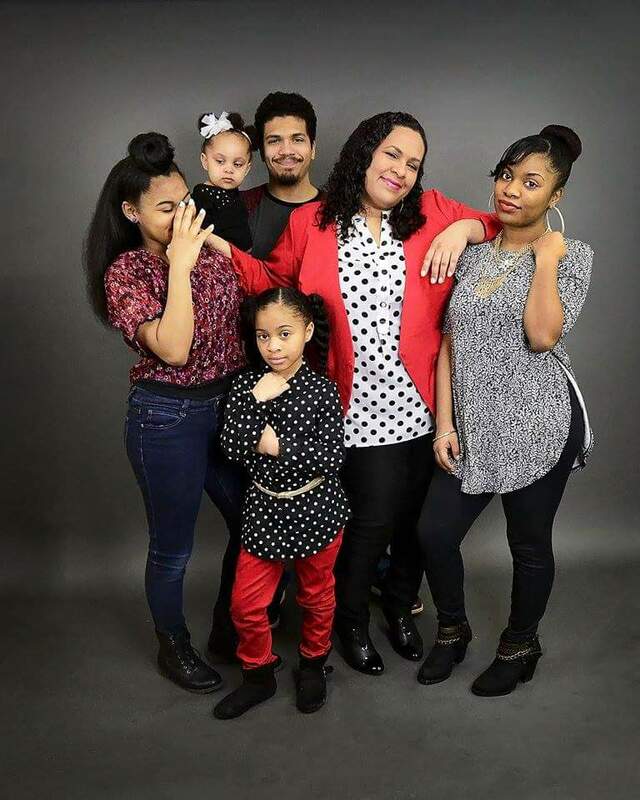 Pictured above: Jenni Price, homeowner and SNHS Board Member, oldest and only son is in the United States Air Force and my four daughters; Danasia is a full-time college student, Camryn, 16, Caitlyn, 10 and Alayna, 4.